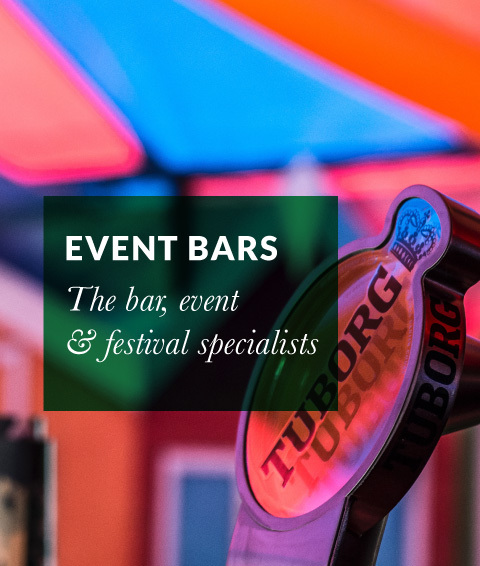 Event Bars Ltd is a full service bespoke bar management and implementation consultancy and provider, delivering tailored brand solutions and outcomes for clients across the UK, Europe and beyond. 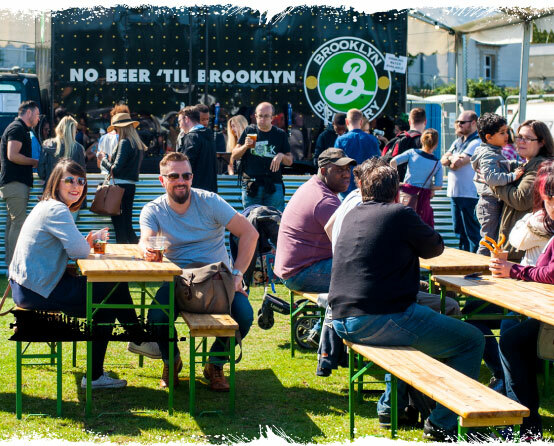 Working with leading festivals, events, brands, companies, organisations, and happenings, the team can produce individual bars and surrounding event set-up for everything from festivals of over 200,000 people to boutique and personal parties. 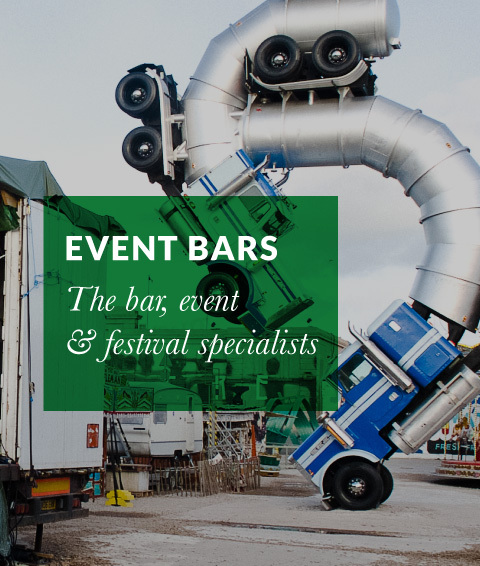 With quality, passion and client objectives at the heart of every execution, the Event Bars team can provide either a full delivery package, or simply the kit or team required to deliver elements of a brand, corporate or events brief. Our team’s collective personality, camaraderie, can-do attitude and solutions-focussed philosophy comes across in every piece of work they do. From high volume footfall bars for the likes of Glastonbury and Tramlines to small, specialised drinks experiences within the National Theatre and the Houses of Parliament, plus brand launches in Ibiza, Cannes and beyond, Events Bars’ attention to detail means we are quite literally continually raising the bar for festivals, events and happenings, wherever we are. 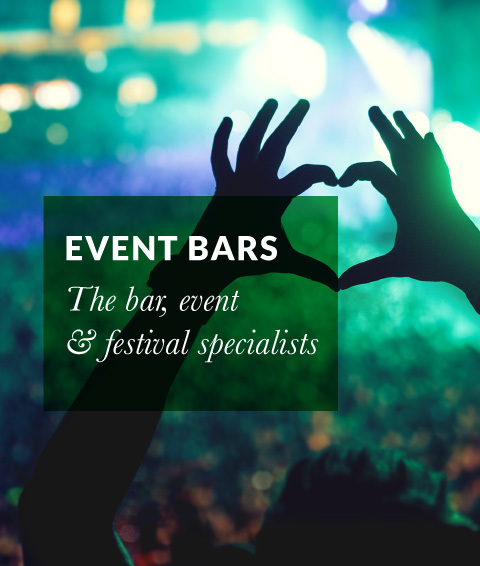 Working with leading festivals, events, brands, companies, organisations, and happenings, the our team can produce individual bars and surrounding event set-up for everything from festivals of over 200,000 people to boutique and personal parties. We have worked alongside Event Bars for a number years. Their professionalism and adaptability, means they stand head and shoulders above the competition. Just a note to say a huge thank you for providing the bar at our wedding on 15th August 2009 at Flax Bourton village hall. The bar itself looked fantastic, the staff were really friendly and cheerful and it really got the party atmosphere going. I don’t know what the names of your staff at this particular event were but please give a special thank you to them as they were lovely. I would definitely recommend you to my friends! We wanted to especially thank you for providing the bar for us in the evening at our recent wedding. It definitely kept everyone in the party mood and contributed towards making the day such a fabulous one. We can’t thank you enough! Thanks for a great bar, I wouldn’t hesitate to recommend you to my friends. I hope that this finds you well. I wanted to send you an email of thanks; Event Bars did a terrific job at my wedding party on July 2nd. Please pass my thanks to the staff team for that day. 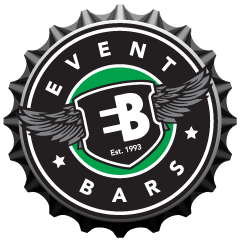 I have worked closely with the Event Bars team for several years now at multiple Subsonic events, and have been extremely happy with the result each and every time. The staff are incredibly friendly and professional, and really show passion for the events they are a part of. It is a pleasure to be involved with this awesome team and I look forward to many more ventures in the future!